Acupuncture originated in China more than 2,500 years ago. Over time, the practice spread to Korea, Japan, Vietnam, Europe, and America—and it is now practiced all over the world. As it grew, acupuncture was adapted by practitioners according to different opinions on theory and technique. Acupuncture as a therapeutic treatment has proven and significant benefits, and there is no evidence that one style is more effective than another. As a doctor of Oriental medicine, Dr. Bret Mosher is qualified to perform different forms of acupuncture at his Poway, CA, practice. He is able to provide effective therapy, combining and using the various forms of acupuncture to customize treatment for each individual patient. The acupuncture practiced as a healing modality of Traditional Chinese Medicine is the most common form used in the United States. It focuses on bringing balance to the body, regardless of the condition being treated, by restoring the proper flow of Qi (life energy) along the body’s meridians (energy pathways). Practitioners insert fine, thin needles approximately 1.5 inches long to stimulate flow in specific areas called acupoints. They may also incorporate moxibustion or cupping into an acupuncture session. This style is based on the Chinese concept of meridian therapy, but uses a more subtle approach. Practitioners use fewer needles, and they insert them to a shallower depth. Japanese acupuncturists often incorporate touch into their diagnostic process. They will also sometimes use acupressure or moxibustion as well. Combining aspects drawn from both Chinese and Japanese acupuncture, Korean acupuncture has its own distinct style. Differences include the use of many more needles, and also the use of copper needles instead of the standard stainless steel type that are widely used elsewhere. Korean Hand Acupuncture is a variation that uses only the hand to treat specific corresponding areas of the body and their disharmonies. Like Korean Hand Acupuncture, auricular acupuncture uses one area of the body—the ear—to treat areas of the rest of the body and to overcome certain disharmonies. The practitioner uses either needles or minute electrical currents to stimulate points on the ear. This microsystem-type of acupuncture is commonly used for the treatment of pain, and for alcohol and drug addiction. This newer method of stimulation uses low-energy laser beams in place of acupuncture needles to influence the acupuncture points. Qualified practitioners may use laser acupuncture selectively along with more traditional methods of acupuncture as an alternative for patients adverse to the use of needles. Another form of needle-free acupuncture, teishein uses “pressure needles” as a form of non-invasive stimulation of acupoints. These instruments are a type of telescopic, blunt placebo needle that touches the skin without penetrating it. The practitioner touches or taps the skin with light strokes. It is currently used in hospitals, clinics, and institutes around the world, especially for the management of pain. A combination of the words “acupuncture” and “pressure,” this form of therapy also stimulates accupoints without using needles. The practitioner uses precise finger placement to apply pressure over specific points along the body’s meridians to enhance the flow of qi. A related Japanese technique, shiatsu, is also available to provide relief and relaxation. Dr. Mosher is able to provide effective therapy, combining and using the various forms of acupuncture to customize treatment for each individual patient. Due to its usefulness and versatility, acupuncture is also practiced in a variety of other forms. In recent years, Western medicine has embraced acupuncture and defined a new category known simply as medical acupuncture. This approach's main goal is pain management, with the practitioner selecting acupuncture points that trigger neurological responses to block pain. Often, the addition of electrical stimulation is added to serve as a nerve block for further benefits. Dr. Mosher is board certified through the National Certification Commission for Acupuncture and Oriental Medicine (NCCAOM) and is also a member of the California Acupuncture Association. 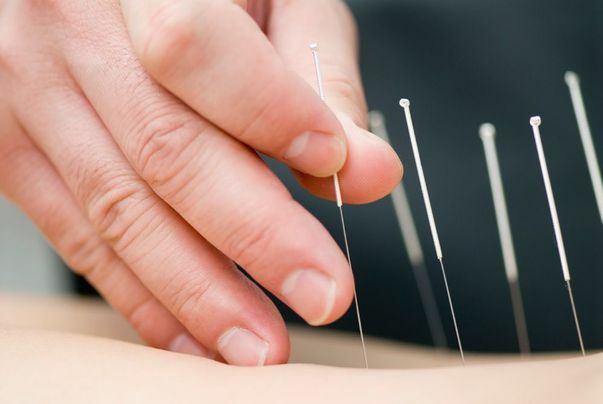 If you would like to find out more about how one of the many forms of acupuncture can benefit you, please contact our practice for a consultation with Dr. Mosher.